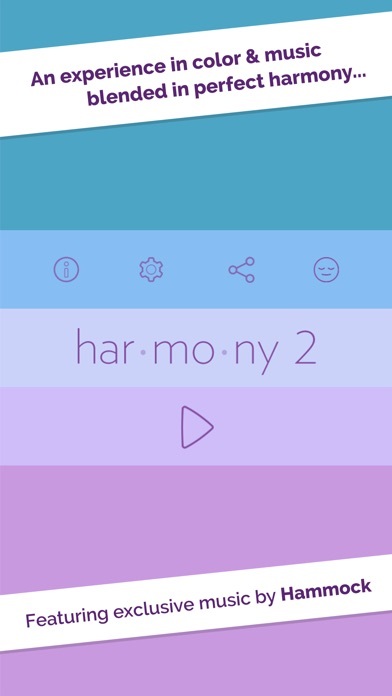 Apple Best of May 2014 "Positively the most relaxing yet mentally stimulating game I've ever played” har•mo•ny 2 is a beautiful puzzle experience of color and music blended in perfect harmony. 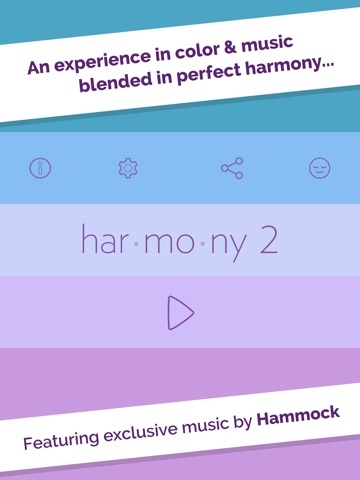 "...both a stimulating intellectual game and relaxing sensory experience successfully wrapped into one application" - TUAW "...hundreds of different color palettes that are pure eye candy" - AppAdvice "...full of the refreshing, relaxing goodness that made the first game so popular" - 148Apps “Utterly Wonderful” • • • • • 2+ HOURS OF BEAUTIFUL MUSIC Escape the stress of the day and relax your mind... Featuring over two full hours of some of the most beautiful and mesmerizing ambient music you will ever hear by artist Hammock. Even including rare and unreleased tracks! 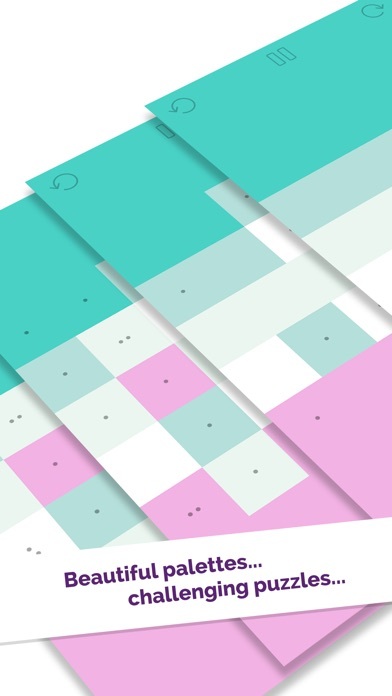 Music playlists are arranged harmoniously with the mood and style of each set of colorful puzzles… ABUNDANT COLOR... Hundreds of handcrafted levels, rich with color and organized into paths for your exploration. Awaken your mind to the bold colors of "refresh", relax to the peaceful pastels of "dream" or play the darker tones of "twilight" before you go to sleep... 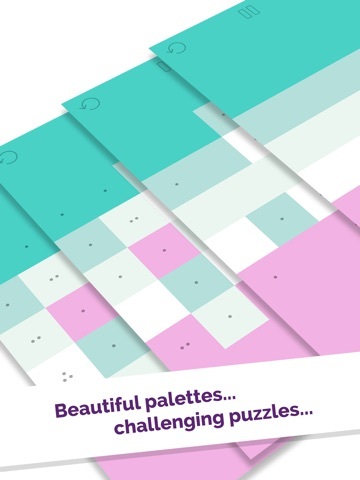 DIFFICULT YET RELAXING Each level becomes a journey with a destination as you strategically reassemble each color palette. Make a wrong move and you may take one step back. Venture too far the wrong way and you must start over. With a steady difficulty progression, levels go from fairly easy to insanely difficult. 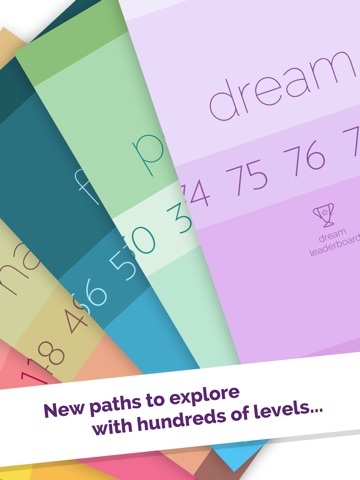 Think you can solve all of the levels? 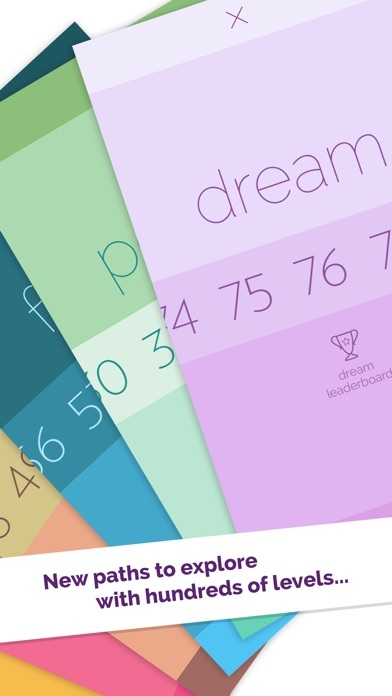 See how you rank in Game Center and challenge your friends! How far can you get? 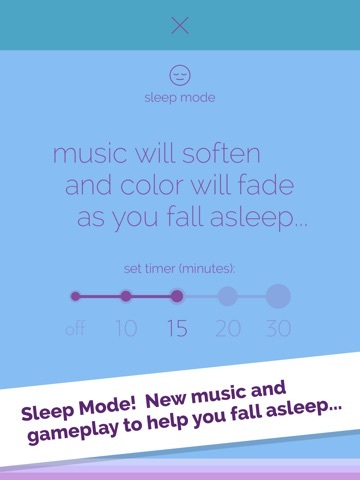 GAME + SLEEP TIMER = Zzzzzz Enable Sleep Mode to quiet your mind at the end of a stressful day. 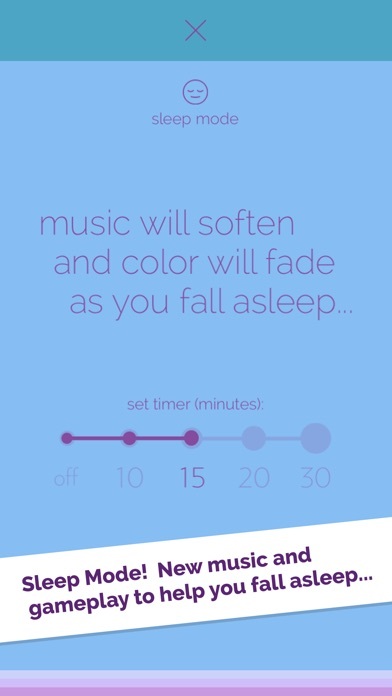 Set the sleep timer and the dimming colors with unique music will help lull you to peaceful sleep... WALLPAPERS! 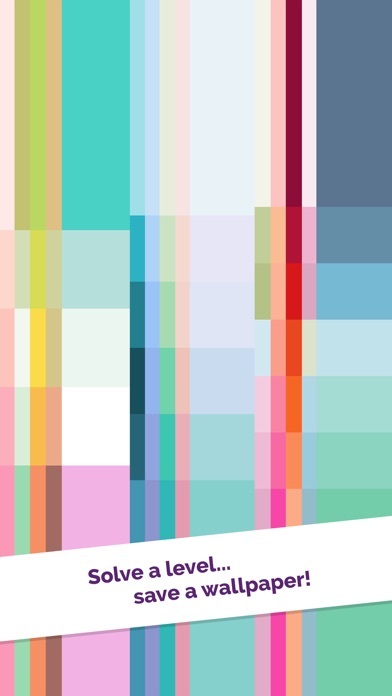 Adorn your iPhone, iPod or iPad with wallpapers rich with color! 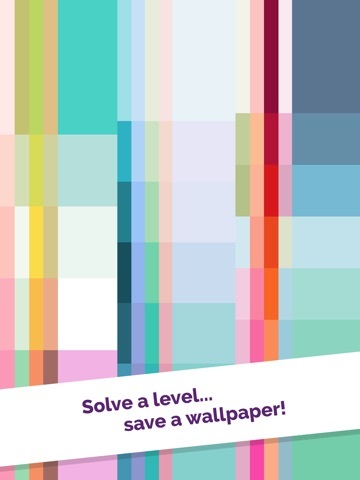 Every level you reach you can save its color palette as a wallpaper. Sit back... relax... and experience har•mo•ny 2. • • • • • Enjoying har•mo•ny 2? Please be sure to rate & review in the App Store - it helps us tremendously! Thank you for your support!